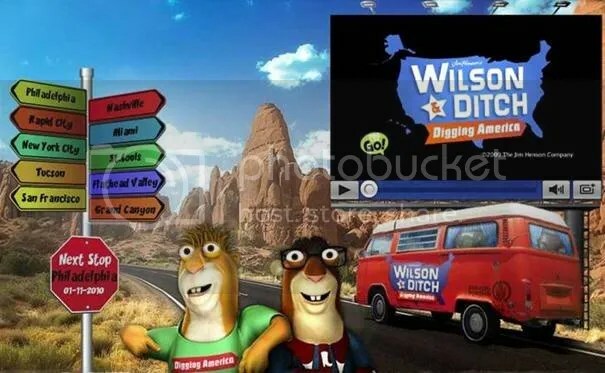 Earlier this month PBS KIDS and The Jim Henson Company launched a new web exclusive series, Wilson & Ditch: Digging America, which uses a series of webisodes, a blog, online postcards, and games to teach early elementary kids about the geography, history and culture of America. My oldest daughter is too young to explore the site herself, so I took a few minutes to look it over and like what I see. I’d say it’s perfect for 2nd, 3rd, and 4th graders, building on topics that they’re already learning in school. Meet Wilson and Ditch, two funny, energetic and talkative gopher brothers, who are in a van – an eco-powered one — and driving around America. Wilson, the older brother, loves learning and teaching facts and reading about each new locale they travel to. He always drives the van while Ditch, the younger more fun-seeking brother who loves to relax and eat, is the permanent passenger. These gopher brothers drive from city to city as tourists who learn the history, “actual facts” (as Wilson calls them), and fun facts of every new location. The brothers also love experiencing the usual touristy stuff as well as the really unusual, obscure, and sometimes just weird sites each city has to offer. Every week Wilson and Ditch report from a new location whether with a new episode, podcast, blog entry or comic. Kids not only learn about the geography of each state but will also learn about the history, local culture, popular culture, arts and literature, nature sites, local ecology, monuments, and some of the state’s unusual locations. The animated webisodes, each about 5 minutes long, are probably my favorite feature. Stars Wilson and Ditch (performed by Brian Henson and Paul Rugg) are brought to life using the Emmy Award-winning Henson Digital Puppetry Studio, a proprietary technology that allows performers to puppeteer and voice digitally animated characters in real time. It’s very cool and entertaining! Kids will be laughing so much they won’t even realize they’re learning something at the same time! but where are Wilson & Ditch headed next? 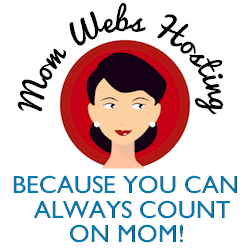 You’ll have to visit the site to find out. This is cool–thanks for sharing! .-= Ann Williams´s last blog ..Onions–Time and Money Saving Tip =-.